The National Touch League (NTL) is the peak domestic competition for the sport of Touch Football in Australia. The annual four day competition invites regional permits from across Australia to compete in ~14 Divisions including Open and Senior categories. The competition is not only the pinnacle of the Australian domestic competition, but is also the primary selection event for the national representative teams. The National Touch League was created to replace the ‘Australian Nationals’ which featured the seven Australian states. The finals of this competition were traditionally played between Queensland and New South Wales, the two most dominant touch playing states, with the Australian Capital Territory also performing strongly. The first National Touch League took place in 1997 at Coffs Harbour, with three Sydney regional permits taking part. These included Sydney Scorpions (previously Region 9 wearing bottle green and navy colours), Sydney Mets (previously Region 8 wearing navy and white) and Sydney Rebels (previously Region 7 wearing red, white and sky blue). Previous to this in 1989, there were two Sydney based regions – Region 7 and Region 8 which were divided geographically. The East (coastal) area was called Region 7. Their uniform was navy and white with a lucky 7 dice logo designed by Cary Thompson. The other area was West and named Region 8. Their uniform was red and yellow with an 8 on the logo. The uniforms were produced by Westmont. In 1990 it was decided that there was enough playing talent to support another Sydney region and as such boundaries were redrawn. North of the Parramatta River was now Region 9, with aqua, turquoise and black uniform. Brett Gillard (Scorpions Life Member) designed the Region 9 logo which was incorporated inside the figure 9. It included an aboriginal holding a spear, infrastructure buildings and a Manly ferry and famous Manly pines. Directors of Region 9 included Gary Croft (Scorpions Life Member), Peter Casey and Brett Gillard. Between the Parramatta and Cooks River was Region 8 (still maintaining a red and yellow uniform with a change to orange and grey in 1992). South of the Cooks River was Region 7 still with a navy and white uniform. In 1997 the first “Scorpion” appeared on the Region 9 jersey at the NSW Regional event held in Newcastle. At that time the playing colours were changed to a green and white playing top with black shorts and a lone black Scorpion on the playing shirt. At the time of its introduction the NTL was seen as being a move away from the past and step forward in the future development of Touch in Australia. Each of the then 12 permit holders, was to represent an equal number of registered players, making for a fairer, more competitive tournament. The playing talent was spread far more evenly and it was to give a larger number of players an opportunity to impress for higher representative honours. The NTL was also to provide players with an important intermediate competition between local, state and national events. It is widely accepted that the NTL has increased representative opportunities for players from states outside of NSW & Queensland. While the format of the competition has had some minor amendments, the stability of the event has led to the development of fierce rivalries between regions. The traditionally strong Touch Football regions have maintained their dominance of the competition. The NTL was also seen as being a marketing tool that would have significant value as a promotional vehicle. The first NTL opened up merchandising and sponsorship opportunities, and was televised on regional television networks and the Optus Vision cable network. The 1997 National Touch League was held from on 17–19 October. The divisions contested were Open Men, Women and Mixed and under-20 Men and Women. Most of the 12 permit holders fielded Men’s, Women’s and Mixed teams. The tournament finals were broadcast on WIN Television, NBN Television and Optus vision while NBN as the host broadcaster also ran 50 television commercials to promote the event. Success at the NTL was immediate for the Scorpions with the Men’s Open team winning the first 4 titles in a row – led by the champion and Hall of Famer Mark “Bus” Boland. The Mixed Open also had some early success at this new national level, with Tony Eltakchi and David Cheung representing. The Senior divisions were introduced in 1998 and once again Scorpions had instant success. The 1998 NTL was also held in October with the competition run as two separate competitions, the Open divisions and the Seniors divisions. A small number of players played both Open and Seniors including Tony Eltakchi and David Cheung which equated to 6-7 days of touch football. In 2008 the NTL saw a significant restructuring with the Open and Senior competition being run concurrently. The Senior competition was run from the 12-14 March 2008, and for the first time in the events history, the Open competition overlapped the Senior competition, taking place between 13-15 March. The under-20s divisions were removed from the Open competition and were held in conjunction with the National 18s competition, to become the National Youth Championships which were held from the 17-20 September, 2008. The under-20s divisions later returned to the NTL before being replaced by the T-League division. 2009 and 2010 were two of the few years the NTL competition was played away from Coffs Harbour. 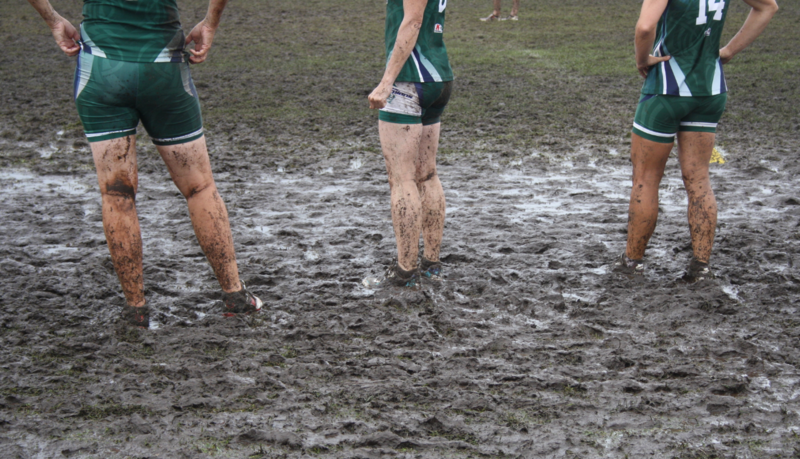 In 2009 it was held at Port Macquarie and in 2010 it was held at Caloundra, Queensland and just by chance the weather was horrendous with many of the finals that were not played on the main stadium field played in thick mud after a huge amount of rainfall at the back-end of the tournament (see photo below). Day one of the tournament was bright sunshine however this soon changed. In that year the Sydney Scorpions Men’s Open won their first title in 10 years. The Scorpions prevented the dominant South Queensland Sharks from winning their fifth title in six years and took out the final convincingly 7-3. The Terry Cooper coached Scorpions line-up included young-guns Dylan Hennessey, Jordan Marshall-King, plus John and Maurice Kennedy with the Sharks having arguably one of the best players in the game at the time in Drumayne Dayberg-Muir. In wet conditions the final was played in the evening and this was no doubt one of the best nights in Scorpions long and proud history. The National Touch League did see a major format change in 2011 with the introduction of the Elite 8 Series. The Elite 8 was played in both the Men’s and Women’s Open divisions with eight new standalone permits taking the place of the NTL Open divisions (with only Mixed Open remaining). Around the same time saw the introduction of the male and female T-League divisions which replaced the under-20s divisions. T-League divisions allowed for up to six over 20 years of age players, the rest needing to be younger players. Initially the feasibility and success of the division was questioned, however each year it grew in strength and was eventually embraced as an excellent pathway for junior players from NTL to Elite 8. Initially the Elite 8 was to be played every two years (with the elite level players being able to play for their regional permits in the alternate year), however this changed to an annual event. As such Elite 8 took place in 2011 and then 2013-2018. In 2012 Elite 8 players from the previous year played in the NTL with the Open divisions once again available. In 2011 the NSW Scorpions Men’s were the first title champions and in 2014 the NSW Scorpions Women’s were crowned undefeated champions. As a result Scorpions were the first permit to have won both a Men’s and Women’s Elite 8 title. In 2017 and 2018 the NSW Scorpions Women’s won back to back championship titles – overall winning 3 titles in 5 years and as such dominating the event for the Women’s elite division. 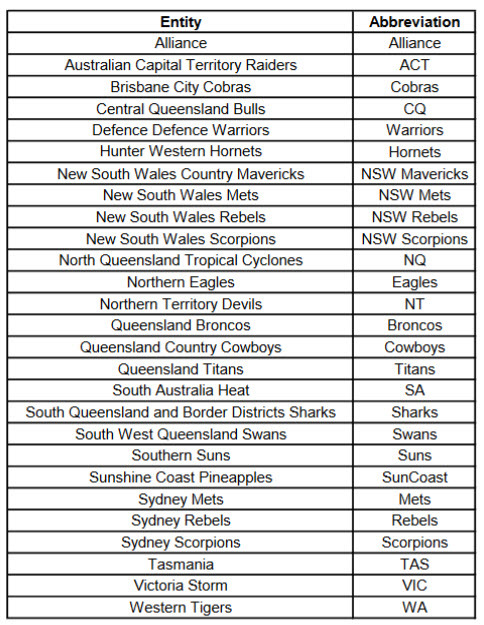 In 2018 the inaugural NRL Touch Premiership was played with six teams aligned to NRL clubs in both the Men’s and Women’s divisions. In 2019 this will be expanded to eight teams and as such there will be no Elite 8 at the 2019 National Touch League. What the future holds for the Elite 8 concept will ultimately depend on the success of the NRL Touch Premiership in 2019 and beyond. Sydney Scorpions has been fortunate to win a number of Champion Permit or “Golden Boot” awards. This trophy is awarded to the NTL permit who accumulates the most points across the divisions, with teams wining a division earning maximum points towards the Golden Boot. The first Golden Boot was awarded in 2010 at Caloundra, Queensland with Scorpions and the South Queensland Sharks joint champions. Many of the senior teams also enjoyed success, with many of the early Open division players now playing at the senior level. Scorpions were runners up by one point in 2011 to the Brisbane City Cobras with further Golden Boots taken out in 2012, 2013 and 2014. Scorpions shared the honours once again with the Sharks in 2015 even after taking out titles in five divisions. In 2016 the Sharks took first place with Scorpions runners-up. However in 2017 and 2018 Sydney Scorpions yet again claimed the Golden Boot. At present both Sydney Scorpions and South Queensland Sharks have both won 7 NTL Golden Boot titles. Since 2008 Scorpions have held their annual “Scorpions Dinner” at the Coffs C-ex Club on the Friday evening of the tournament with all players, coaches and referees in attendance. The dinner includes the presentation of numerous awards including the prestigious “Scorpion Medal” for the best and fairest in each playing division. In 2017 the Scorpions Hall of Fame was established to help recognise the outstanding contributions made to the regional permit by players, coaches, referees and administrators. This was also the year the NTL was celebrating 21 years of competition and as such Scorpions announced their first 21 Hall of Fame inductees at their dinner. Touch Football Australia CEO Colm Maguire was a guest at the dinner and presented all 21 inductees with their awards. In 2018, the then new CEO Steve Mitchell and COO Jamie O’Connor attended the dinner with another 6 Scorpions inducted into the Hall of Fame. In 2019 the names of all 27 inductees will be printed on the shirt numbers of the Inferno uniforms worn by all Scorpions players at the tournament. During 2018 Touch Football Australia undertook a comprehensive review of the NTL and this included a review on the divisions played. As a result the T-League divisions will be no longer be offered. Therefore with no Elite 8 the three Open divisions (Men’s and Women’s to be added as Mixed already exists) will be reintroduced as the three elite divisions at the tournament. Women’s 27’s has been changed to Women’s 30’s, along with the introduction of the Masters Mixed division. As of early January 2019 approximately 130 teams have nominated to compete at the 2019 National Touch League across 14 divisions. The regional permits, including Elite 8, that took part in the 2018 National Touch League can be found below.